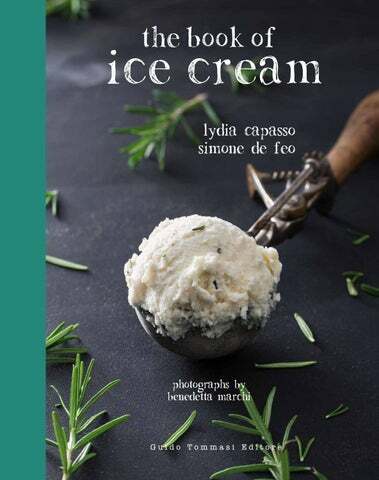 The idea of this book is to combine skills and professionalism with passion for food and experimenting, to show how anyone can make good ice cream at home. Why this book I could live on ice cream, I could eat it until I burst. Put me in front of a tub of hazelnut flavour and I’ll finish it only when I have scraped the bottom, right down to the very last spoonful. When I was a child, I was the proud owner of a toy ice cream parlor: in order to cream the mixture I only had to lift and lower a plastic plunger in the shape of a candied cherry. Those trial blobs of iced cream were my first culinary successes (or failures). If I think about it, that’s where it all began. My love for cooking, good food and everything else connected comes from a toy. Being a real “foodie”, I am always looking for the perfect ice cream, even in the ice cream parlor. The perfect hazelnut flavour, a fruit ice cream that really tastes of fruit, or a true custard flavour. One day, during the course of my investigations, I bumped into Simone De Feo, a passionate expert ice cream maker, who makes ice cream just how I like it: creamy, enveloping and delicious, exactly how for years I’ve tried to make it at home with a normal home ice cream maker. 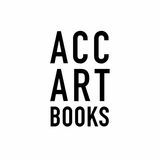 The idea of this book is to combine his skills and professionalism with my passion for food and experimenting, to show how anyone can make good ice cream, the best that can be made with amateur equipment, at home. To eat a tasty ice cream or a refreshing granita (snow cone), it really isn’t necessary to go out and buy one: ice cream is a dessert that is quick and easy to make, it can even be a rapid solution for the end of a meal. Imagine having guests for dinner and while you are at the table enjoying your friends, the ice cream maker does its job and prepares dessert. Use the best ingredients, seasonal fruit, fresh milk, eggs from happy hens that you serve every day. If you don’t have an ice cream maker, don’t worry! We’ll explain some tricks to get around this problem. Sugars Sugars provide structure, creaminess and lower the freezing point of a mixture. Not all sugars behave in the same way: caster, raw and whole (saccharose) can be interchangeable. Honey and agave sugar have equal weight, are sweeter and also have a superior anti-freezing power. Trehalose has the same anti-freezing power as saccharose. Thickeners We suggest using carob seed flour, which raises the viscosity of the mixture, rendering the finished product more homogenous and creamy. If it’s difficult to find carob seed flour, you can substitute it by adding 3 egg yolks, which have been mixed and cooked at 85°C/185°F, to the mixture. Fats Fats (such as milk, cream and eggs) give the ice cream flavour and structure. Prepare the zabaione sauce: using a whisk, beat the egg yolks with the sugar in a bowl (a metal or glass bowl is better, as you can use this as a bain-marie) until the consistency becomes foamy. Slowly add the Marsala and continue to stir. When the mixture is homogenous, heat some water in a saucepan, place the bowl containing the mixture inside, taking care to check the temperature of the water does not go over 85°C/185°F. Then remove from the heat and cool. For the ice cream: combine the milk with the cream in a pan and heat; switch off the heat before the mixture boils. In another pan, combine the zabaione sauce, egg yolks and the sugar; beat with a whisk. Slowly add the milk and cream mixture, continue to beat while heating to 85°C/185°F. Remove from the heat, cool quickly and place in the ice cream maker. Mix the sugar, basil leaves and lemon zest in a bowl. Pour the milk, egg yolks and cream into a saucepan then beat with a whisk. Continue to whisk while heating, and bring the mixture to 85°C/185°F. Add the aromatized sugar and the carob seed flour. When the mixture is homogenous, remove from the heat and cool rapidly. Switch on the ice cream maker and work until you obtain the right consistency. Place all the ingredients into a saucepan over a medium heat. Stir well to create a homogenous mixture and continue to cook until the temperature reaches 85°C/185°F. Allow to cool quickly: now it is ready to be worked inside the ice cream maker. Heat 40 grams/just under 2 oz of sugar with the water and bring to 110°C/230°F. Then add the pistachio nuts, and stir over a medium heat (p. 201). In another saucepan melt the chocolate in the milk and add the passion fruit pulp, sugar and carob seed flour. When the mixture reaches 85°C/185°F, cool rapidly. Pour the mixture into the ice cream maker. When it is ready, add the sugared pistachio nuts and mix well. Pour the sugar into a bowl, add the orange zest and mix well. Place the milk, aromatized sugar, cocoa and carob seed flour in a saucepan over a medium heat; mix well. Use a thermometer to check the temperature: when the mixture reaches 85°C/185°F, remove from the heat and cool quickly. Transfer the mixture to the ice cream maker and work until a perfect consistency has been obtained. Put the milk in a saucepan over a low heat, and begin to warm. Add the broken up chocolate and mix to aid the melting process. Keep stirring then gradually add the carob seed flour, the salt and the toffee sauce (p. 181). Bring to 85°C/185°F. Cool rapidly and place in the ice cream maker; work until the perfect temperature and consistency have been obtained. Blend the persimmons, sugar and water. Transfer the mixture to the ice cream maker and work until the desired consistency is obtained. Serve straightaway or keep in the freezer. Blend all the ingredients until the mixture is creamy. Pour it into the ice cream maker and work until the sorbet is ready. Mix the egg yolks and the sugar with a whisk, to obtain a foamy mixture. Warm the milk in a saucepan, add the foamy mixture and the carob seed flour. Leave to cook, bring to 85°C/185°F then cool quickly and place the mixture in the ice cream maker. At this point, you can choose to variegate with the apple sauce, pine nuts, sultanas and shortcrust pastry, or add a portion of ready-made strudel which you have previously blended. Combine the fresh raspberries, sugar and the carob seed flour in a saucepan; bring to the boil, stirring regularly. Leave to cook for about two minutes, then remove from the heat and leave the mixture to cool. Blend in the mixer to obtain a homogenous consistency. It will keep in the fridge for 4 or 5 days. After blending the apples to a homogenous pulp, combine all the ingredients and place them in a pan to cook until the mixture reaches 85°C/185°F. Remember to stir often, so that the mixture is well combined. Allow to cool. Keep in the fridge and consume within 4 or 5 days of preparation.